Donate to International Sport Union Inc.
International Sports Union, Inc. run by Mr. Ken Arutyunyan, promotes a family involvement in physical activity, to provide proper physical fitness training and readiness for a healthy mind and body. Mr. Arutyunyan, and his team of Olympian and World Champion coaches at International Sport Union, offer a wide variety of sports for all. The sports include karate, boxing kickboxing, gymnastics, wrestling, judo, mixed martial arts, acroyoga, parkour, and health & weight loss classes. They have brought together a wide network of services to help aspiring athletes and their families progress in reaching personal and professional goals. In the last twenty-six years, Mr. Arutyunyan has used his talents and ambition to create an environment for success in order to improve the health and quality of life of others. As a result, the school has grown to hundreds of students of all ages who practice from morning till night. Mr. Arutyunyan's experience, dedication, and knowledge have resulted in saving one of his member's life a few months ago. The school is in need of your support during the summer when attendance is very low. Your valuable donation will further help us recruit new members from our community who struggle with paying monthly dues, as well as renovate our training equipment. Please kindly pledge your tax-deductible donation to hep us in the continuation of this great organization. ISU is a non-profit 501(c) (3) organization that caters to the future of the youth of our community. 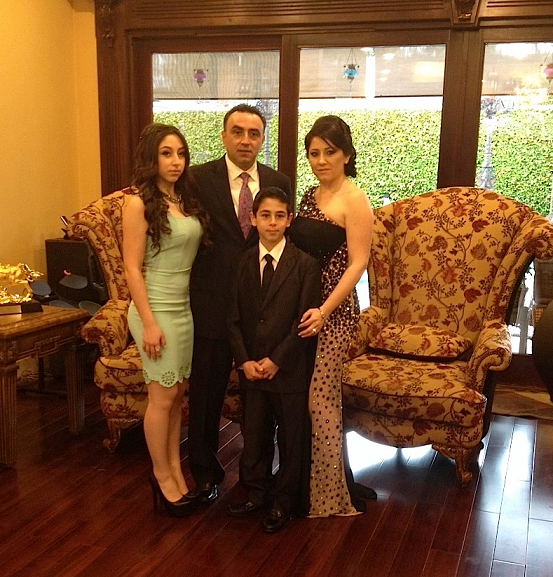 Pictured: Ken Arutyunyan and his family.